A screenshot from the Plan International Finland campaign page. Is it ever right to use a pregnant child in an advert, even to boost awareness of a pressing children’s rights issue? That’s the question one activist is asking after a celebrity-led awareness campaign by Plan International Finland to highlight child pregnancy and advocate for girls’ rights abroad won a Vuoden Huiput award for best creative design in Finland. Dr. Faith Mkwesha, founder and executive director of the newly-established Sahwira NGO says she was 'shocked' to see a young girl featured in this way, and adds that the campaign risks perpetuating negative stereotypes of black women. Plan Finland, on the other hand, says it wanted to create a shocking campaign and never intended to sexualise any child. 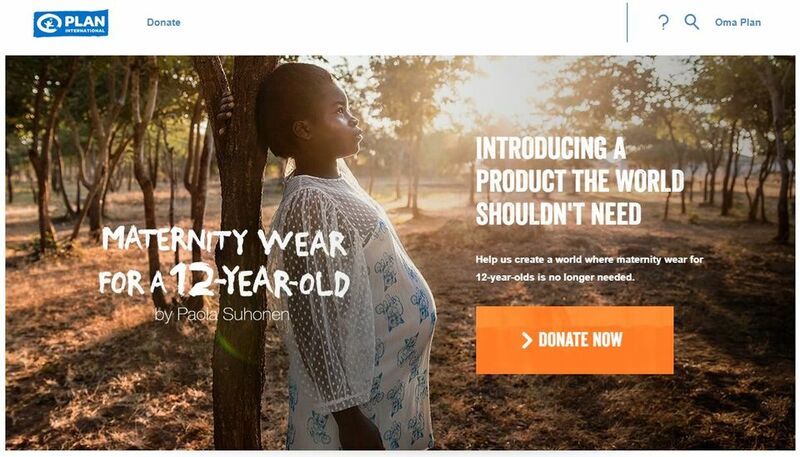 The striking ad campaign features prominently-positioned billboards featuring Fridah, a then 12 year-old Zambian girl who is demonstrably pregnant, posing as a model for a mock maternity fashion line for young girls. The ads were deployed at bus stops and replicas of the clothing line were put on display in a shop window at downtown Helsinki’s trendy northern Esplanade. A YouTube video also formed part of the package. "A real girl with a real story"
According to Plan Finland’s Acting Director of Fundraising Eva Anttila, the aim of the campaign was to raise awareness of child motherhood, to advocate for girls and to fundraise. “We wanted to talk about it in a new way. We chose to mimic another genre of advertising [fashion] to create an element of surprise so we used a made-up maternity line to ensure it would stop people,” Anttila said. The campaign featuring 12 year-old Fridah highlighted the work of Finnish fashion designer Paola Suhonen and equally-renowned photographer and journalist Meeri Koutaniemi. The campaign won the Vuoden Huiput award for best creative design in Finland, while the work of Hasan & Partners, the design agency behind the execution of the campaign was also recognised with a Creative Distinction Award from the Art Directors Club of Europe. “We visited the girl and her family and spoke with the community and health workers. We tried to ensure that everyone understood what we were doing. In the end the final decision was guided by the fact that she has a strong support network in her family, the community and Plan Zambia,” Anttila explained. 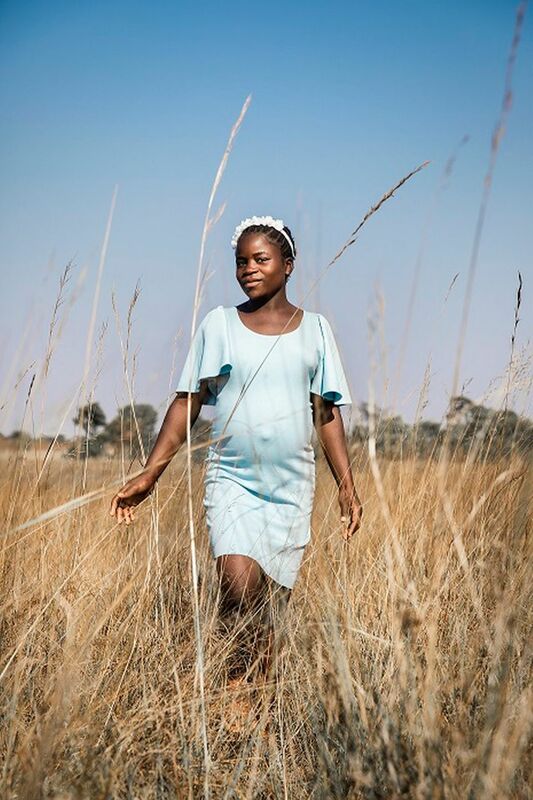 She added that Zambia was selected as likely location for sourcing a "model" for the advert, since the country has a high rate of child pregnancy. “One in three girls has a child before the age of 18, so Fridah’s family may not have seen her situation as special,” Anttila commented. The campaign proved to be a success by Plan’s metrics. Anttila said that the powerful images of a pregnant pre-teen posing in maternity wear generated some 21,000 visits to the campaign page and a 40-percent year-on-year increase in regular donors who support the NGO’s work on children’s rights. Although Anttila says the campaign got an overwhelmingly positive response in Finland, and indeed won an award, not everyone was equally enthusiastic over the decision to cast a young expectant African mother in a campaign designed for a western audience – Plan Finland explained that the campaign ran in Finland only. It's an issue that development fundraisers are grappling with worldwide, with British charity Comic Relief recently committing to end so-called 'white saviour' tropes in its promotional films. Dr. Faith Mkwesha, a researcher affiliated with Åbo Akademi’s gender department recalled what she said was the confusion she initially felt when she first saw the ad. “I was shocked when I saw a young girl posing in a sexual manner. Alongside her there was a price tag, which was misleading. On closer inspection, I saw the text, which my [Finnish] husband translated into English,” she recounted. Yle News asked Children’s Ombudsman Tuomas Kurttila to weigh in on the issue of children’s rights in such a situation. 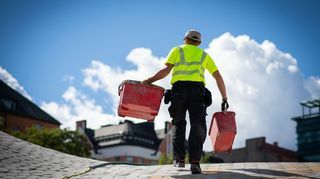 Kurttila said that he was confident that Finnish NGOs would play by the book and would have addressed any potential issues around using an expectant child mother. However he suggested that simply getting the child’s approval may not have been sufficient. Plan Finland stressed to Yle News that it received express permission for the ad from both Fridah and her parents after reviewing the programme concept with them. The Ombudsman noted that in today’s global world, it is not always possible to predict the future impact of the campaign on the underage model. “Many times as adults we don’t think how an image can be there for years. If the campaign is there for months or weeks, the life of this child [may be] affected -- in a way -- the rest of his or her life. So this ethical question is there,” he remarked. He also placed ultimate responsibility for the child’s welfare on the adults behind the programme. Kurttila suggested that it may not even be necessary to use human models for some types of advertising. 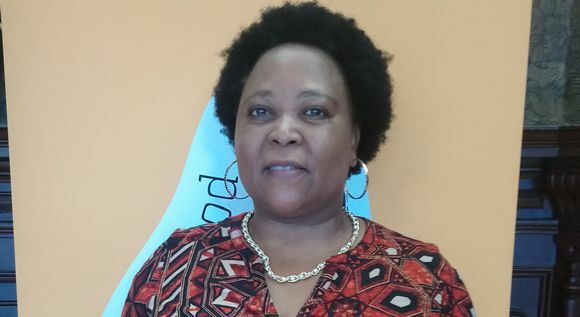 Mkwesha said she attempted to contact Plan to discuss the ad -- specifically travelling from Turku to the organisation’s Helsinki office -- but was told that the campaign team was unavailable. However she remains undeterred in her condemnation of an approach that she says is all too common in the West. “Finnish people like to see this kind of image to donate money. But it promotes a certain view of black women and girls as hypersexualised and loose. It also creates more black-phobia and increases the fear that black men will sexually assault young girls,” Mkwesha declared. Responding to Mkwesha’s criticism, Plan’s Eva Anttila said that she agreed that children should always be protected. She stated that the organisation tried to ensure that the girl’s experience was positive and that her voice was heard. Anttila added that Plan supported the girl throughout her pregnancy with pre- and post-natal care and is still supporting her to return to school, which she quit due to the pregnancy. With respect to the charge that the ads could be read as racist, she said she has recognised this view, but insisted that the campaign is not racist and Plan does not accept racism in any form. "Our aim is not to sexualise any child in this or in any other campaign. We understand the point that we need be more aware now and in the future. We were careful to represent Fridah and the issue in a respectful manner,” she added. Plan's Anttila said that the NGO regretted not receiving word that Dr. Mkwesha had travelled all the way from Turku to visit. Anttila said that Plan wants to include other points of view and has since reached out to Dr. Mkwesha to discuss the issue. "We are very happy Dr Mkwesha has kindly agreed to visit us another time so we can have a longer discussion together," she concluded. Eva Anttila and Faith Mkwesha were special guests on this week's All Points North podcast, which is available for playback at yle.fi/allpointsnorth. Edit: Updated at 12.14 pm to clarify that Plan Finland received express permission from Fridah and her family to create the ad campaign and that the campaign team had not received word of Dr. Mkwesha's visit to its Helsinki office. Edit: Updated at 12.24pm to include information about Plan's ongoing support for Fridah.